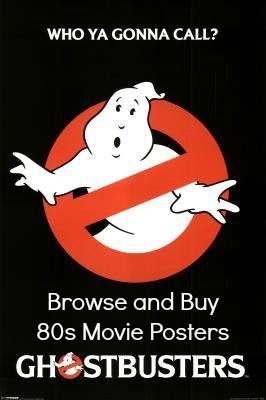 Have you seen our 80s movie posters page yet? Firstly, a new video playlist of 80s teen movie trailers has now been added, and there are some real gems in there such as Porky's, Teen Wolf, Ferris Bueller's Day Off and The Last Starfighter. On this page you can access all of my movie reviews. There are many films that I haven't managed to review yet, but I will try to get around to adding more of them soon. I don't know how you feel, but I'm pretty sure that movies were definitely more engaging and fun to watch back in the 1980's. Maybe this was because we were all younger and, therefore, more easily excited, but I still find myself watching more of the old movies than newer ones. Below is a list of some of the best, most popular and also most infamous 80s films, and I will be adding an ever-growing number of eighties movies to this page. The first batch includes links to review pages where you can also watch movie trailers and video clips. 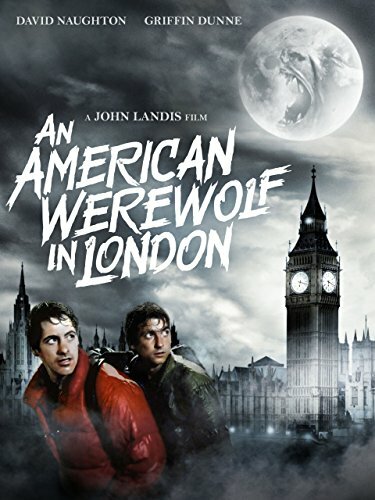 An American Werewolf In London - This top-notch comedy-horror borrows from the classic Hammer-style movies to great effect. With brilliant special effects by Rick Baker, this is an 80s horror classic. 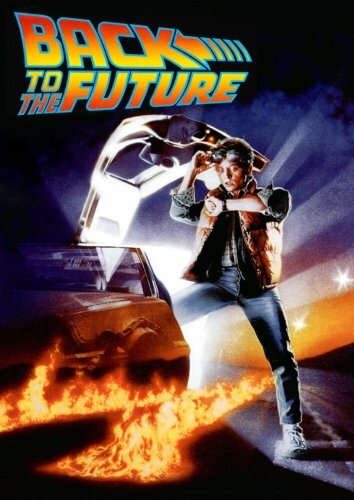 Back To The Future was one of the most entertaining, iconic movies of the 80s. Starring the late Michael J. Fox, the whole look and feel of this movie is just so simply eighties! Best Horror Films of the 80s - A look back at some horror classics including The Fly, The Shining, Hellraiser, The Thing, Evil Dead and many more. With pictures and video trailers. 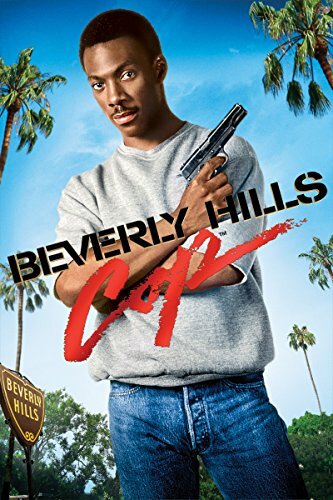 Beverly Hills Cop was the breakthrough movie for Eddie Murphy's acting career, and follows the exploits of careless cop Axel Foley. Released in 1984, this was the second highest grossing film of that year. Bo Derek Films - While not being remembered for starring in the best films of the 80s, Bo was certainly in some of the worst and more infamous ones - including 10, Bolero, Tarzan, the Ape Man and more. 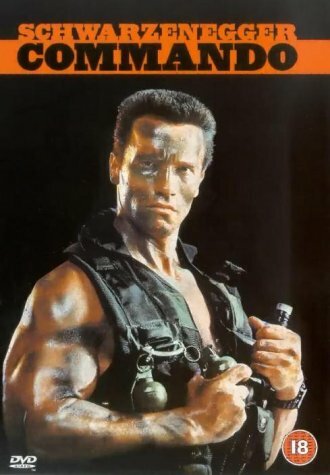 Commando is a cult action movie from 1985, which sees Arnie take on a rather nasty gang of thugs who have kidnapped his daughter. Features a very 80s steel drum soundtrack by James Horner. 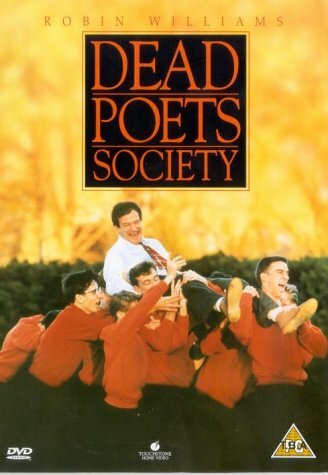 Dead Poets Society is a classic 1989 film that starred the late Robin Williams as John Keating, an uncoventional teacher who inspired his pupils through poetry at an upper class academy during 1959. E.T. 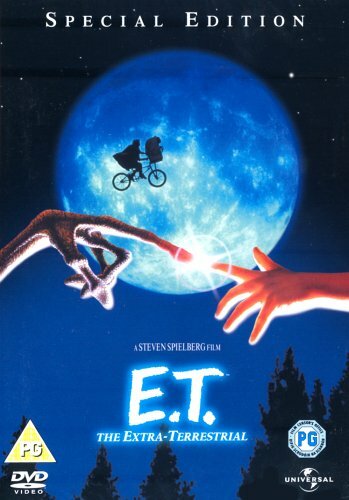 The Extra Terrestrial - The top grossing movie of 1982, this sci-fi classic was directed by the awesome Steven Spielberg. Classic line "E.T. Phone Home". Ferris Bueller's Day Off - One of the better teen films from the 80s, as you would expect from John Hughes. 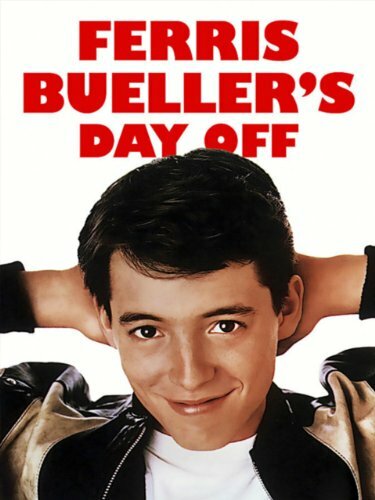 Ferris Bueller (Matthew Broderick) spends an eventful day off from school with his best friend and girlfriend. 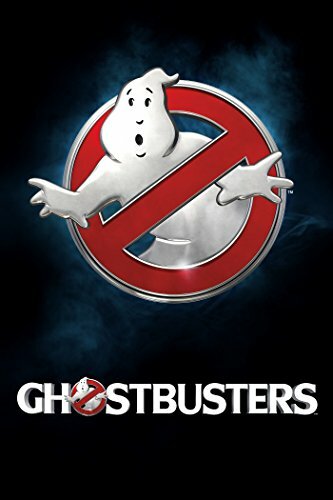 Ghostbusters - This crazy sci-fi romp beat Beverly Hills Cop into first place for the top-grossing film of 1984. Starred Dan Aykroyd, Bill Murray and Sigourney Weaver. 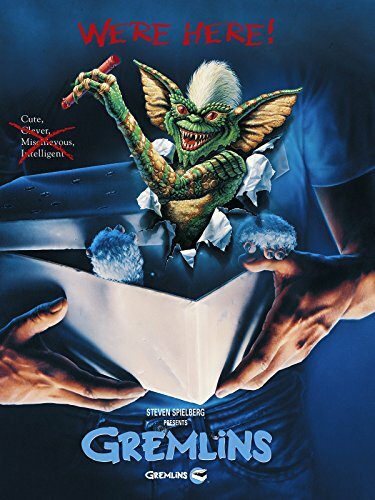 Gremlins - When Billy Peltzer receives a cute pet called a Mogwai as a Christmas present, little does he realise that creature will spawn a new generation of reptilian monsters who cause havoc in a small town. 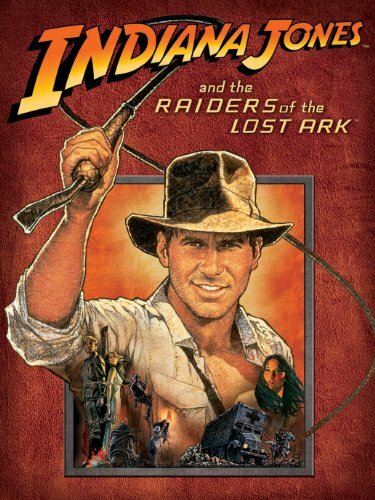 Raiders Of The Lost Ark - One of the highest-grossing films of all-time from the creators of Jaws and Star Wars - the original and best Indiana Jones movie. 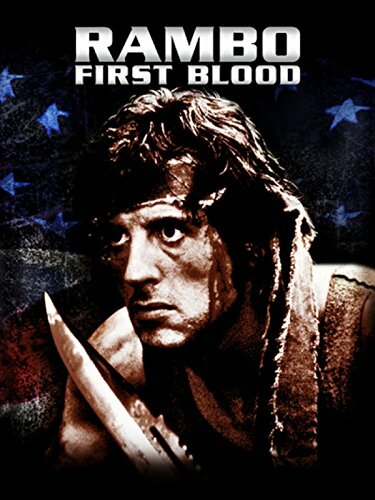 Rambo: First Blood - This action film was the first in the series of Rambo titles, which stars Sylvester Stallone as an ex Green Beret who is bullied out of town by the local police. 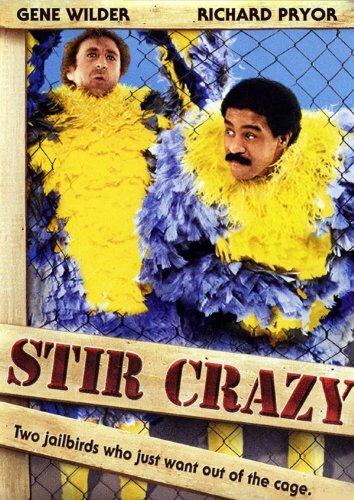 Stir Crazy - A quirky comedy in which two friends (played by Gene Wilder and Richard Pryor) are framed for a bank robbery. This was the second film from the duo. 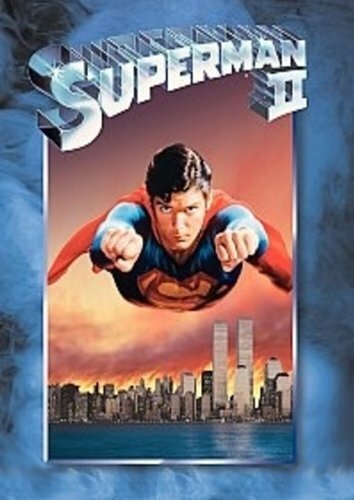 Superman II - This action-packed sequel sees the man of steel take on General Zod, Ursa and Non who have gained superpowers whilst descending on Earth. This was the second-best grossing film of 1980, beaten only by The Empire Strikes Back. 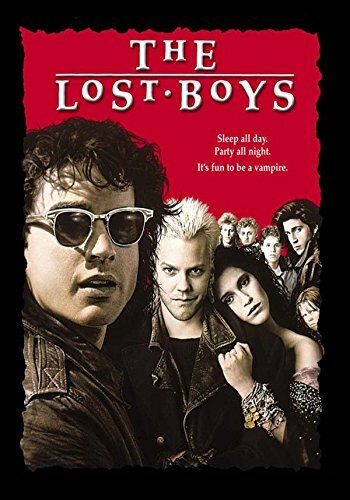 The Lost Boys - An influential vampire comedy film about two brothers who move to a coastal community in California with their divorced mother, and find themselves battling a gang of young vampires. 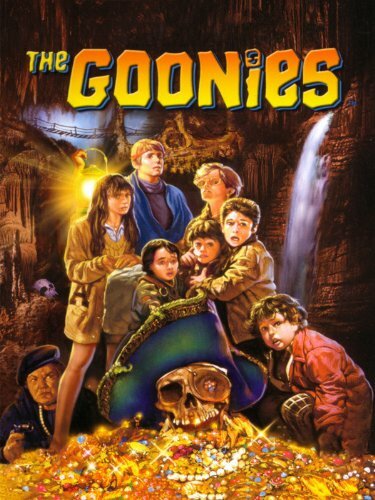 The Goonies - In this gripping family adventure film, a gang of kids embark on a treasure hunt in an effort to save their homes from greedy developers. The best kids' film of the 80s, at least. 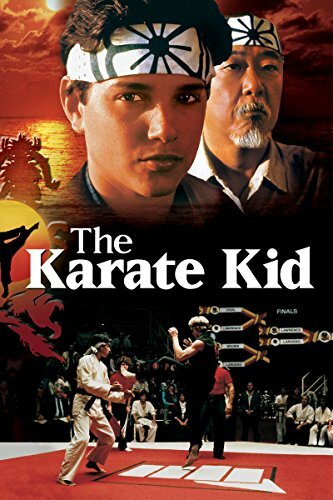 The Karate Kid - A heart-warming, coming of age film in which an Italian student struggles to fit in with the locals. He soon finds himself being harassed by a gang of martial arts students, but is taught how to fight back by an elderly caretaker. 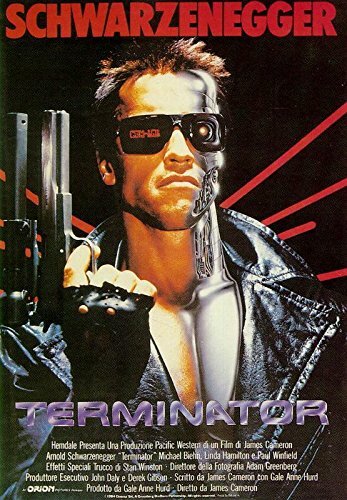 The Terminator - In one of the greatest sci-fi action movies of all-time, a Terminator cyborg (played by a perfectly cast Arnold Schwarzenegger) is sent to kill Sarah Connor and stop her son from being born. Top Ten 80s Movies - What were the highest-grossing films of the great decade? 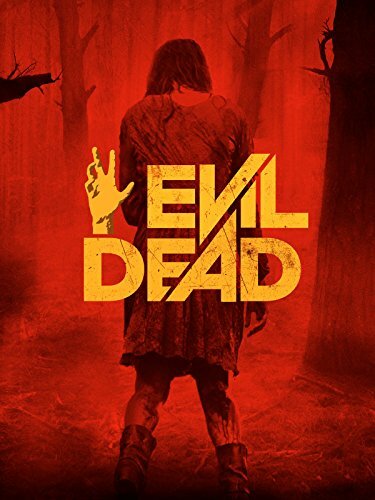 Find out on this page where you can also watch original trailers for each movie. Top Ten Films from 1980 - A full run-down of the top-earning movies from 1980, with video trailers playlist and pictures of original promotional posters. 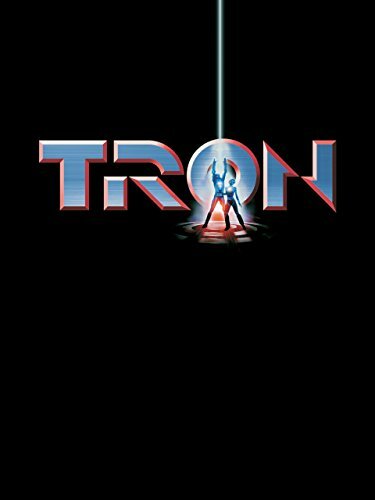 Tron - Featuring revolutionary computer graphics, we look back at this visually stunning Disney film from 1982, which transports a programmer into the software world of a mainframe computer. 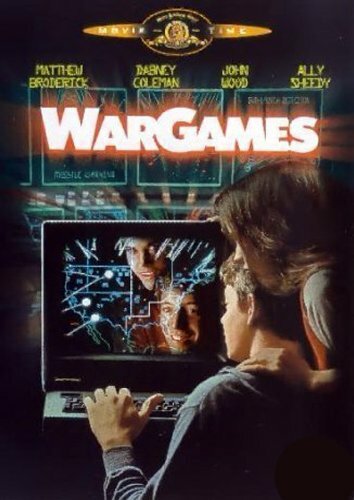 Wargames - The fifth most profitable film of 1983 (Return Of The Jedi raked in the most cash) in which Matthew Broderick hacks into NORAD's computers, and has the World on the brink of another World War. Almost thirty years after its release, I actually watched this film for the first time on a damp January evening during 2014, and I was pleasantly surprised. For some reason, I had visions of the movie being a soppy, romantic story for teenage girls. However, although the story revolves around the romantic encounters of Samantha Baker (Molly Ringwald), the emphasis is more on the comedy, thankfully. Sam is infatuated with a handsome senior at her school, Jake Ryan, who is already dating the most beautiful girl in the school. The movie benefits from an hilarious geeky character played by Anthony Michael Hall, who is continually trying to attract Sam, but his efforts always result in him looking like a complete dork! 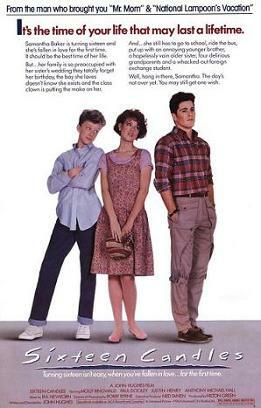 Sixteen Candles is an engaging film, and despite now being well into my forties, I could still relate to the main characters. Writer and director John Hughes certainly knows how to create entertaining coming-of-age comedies, and this one certainly didn't disappoint. Also directed by the now legendary John Hughes, this coming-of-age drama revolves around five high school students on Saturday morning detention, and they are all from very different backgrounds. They eventually find themselves opening up to each other, and discover that they had more in common than they would ever of expected. If you're expecting an action-packed movie then you'll be disappointed, as this is a movie that focuses heavily on the very diverse range of characters - now known as the "brat pack" - and action sequences would merely have diverted attention away from what the film was trying to achieve. The Breakfast Club is a rewarding and insightful film with a top cast, including Sixteen Candles stars Molly Ringwald and Anthony Michael Hall. 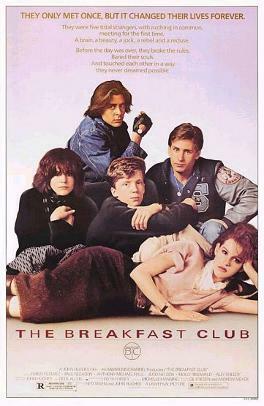 Oh, and it includes one of the greatest songs from the 80s in the soundtrack, Don't You Forget About Me by Simple Minds. The plot of this action drama revolves around the life of Pete "Maverick" Mitchell (Tom Cruise), an ambitious but reckless pilot who is a student at the Navy's fighter weapons school. His taste for violating the rules causes much friction, leading to criticism from some instructors and students. 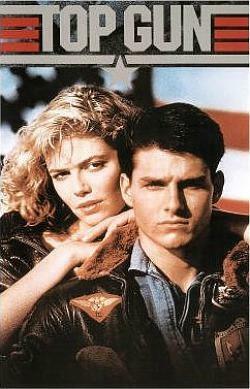 The film also focuses on Maverick's pursuit of Charlie (Kerry McGillis), a Top Gun instructor with a degree in astrophysics. There are certainly plenty of (much-hyped) breathtaking F-14A Tomcat and VF-51 Screaming Eagle fighter jet action sequences, which, apparently, cost Paramount almost $8,000 per hour in fuel! 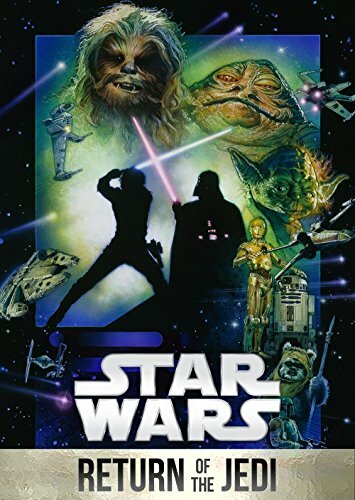 As well as becoming the highest-grossing film of 1986, the home video release went on to become the biggest-selling of the 80s, breaking all records. The soundtrack became almost as popular as the movie, and includes Take My Breath Away by Berlin and Kenny Loggins Danger Zone. However, the critics had very mixed views on Top Gun, and although they appreciated the stunning aerial footage, they criticised the shallow dialogue in between the action sequences. Although this film was always going to be slated by some critics after the unforgettable Terminator movie, it was nice to see Arnie take on a more light-hearted role in this funny 80s comedy film. Casting him with Danny DeVito as his twin was always going to provide a few laughs, and the two popular actors were easy to warm to, which made this enjoyable viewing. Whether this is one of the best 80s films remains debatable, but many of us were thoroughly entertained by Twins, at least. 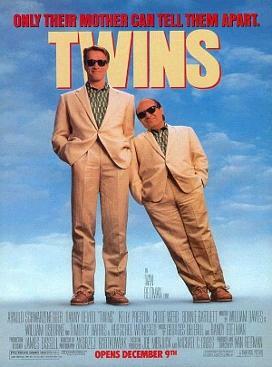 The tall guy, short guy joke wears thin towards the end, but it's still a very memorable movie with the Benedict brother's goofy antics providing plenty of laughs. Another eighties robot movie, but very different to the more violent Robocop and The Terminator, mainly because its aimed at a younger audience. 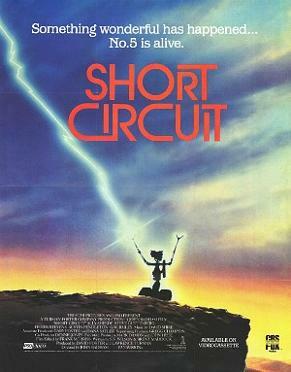 Short Circuit was a memorable film about a military robot - simply named Number 5 - that develops self-awareness after being struck by lightning. I remember this being a very entertaining affair that made much of the young cinema audience laugh out loud back in the 80s. For me, that gives a much better indication as to whether a movie is decent, whereas the views of an ageing, toffee-nosed critic (who is too old to understand a film aimed at a younger audience) doesn't really hold as much importance. 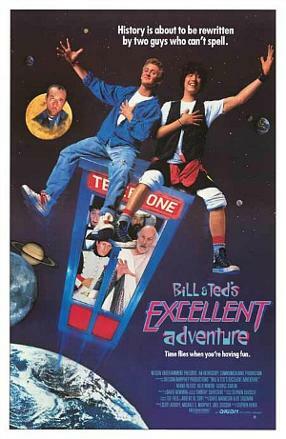 Now this was a delightful film about two time-travelling airheads (who say "excellent" rather a lot, in a Wayne's World style) trying to compile a historical presentation for their school using a time machine. The language is rather dated now, but at the time this was a must see movie for teenagers. The concept of time travel in a phone booth was obviously borrowed from Doctor Who. However, sending two idiots back through time (who proclaim that "history is about to be re-written by two guys who can't spell") was an original and very entertaining idea. One of the best 80s films, for sure, and now a cult classic.